A computer network combined with the Internet creates the basic technology structure that underlies all electronic commerce. Millions of people are using the Internet every day, yet very few understand how it works. The Internet is a large system of interconnected computer networks that span the globe. It allows people to communicate with each other through their pcs. It allows businesses to connect with other businesses and customers. The Internet is the largest network in the world. It began in 1969 with the develop of ARPANET by the US Dept. of Defense for the purpose of linking their military networks for coordination and control. This rapidly grew into the Internet that we know today as other people began connecting to it. The World Wide Web is a subset of the computers on the Internet that are connected in a specific way that makes them and their contents easily accessible to each other. The most important thing that the Web brings us is an easy-to-use standard interface, so that anyone can use it. The two key innovations that have become key elements of the Web are hypertext and graphical interfaces. Hypertext was created to easily link Web pages to each other. It evolved into HTML, which is the most common language used to code Web pages using tags. Graphical interfaces are the software required to read and interpret the code for the user. These are more commonly know as Web browsers. They coincide with the computer's graphical user interface (GUI) such as Windows to create an easy-to-use interface for the user. This system of hyperlinked documents became the World Wide Web. Programmers jumped on the bandwagon and quickly realized that this would provide many users an easy way to access the Internet. Businesses began tp recognize the potential for profit. The Web continues to grow, and the impact this will have on e-commerce is sure to be great. Two types of networks are LANs (local area network) and WANs (wide area networks). Early WANs used circuit telephone lines for their connections. The combination of telephone lines and the closed switches that connect them to each other is called a circuit. The circuit follows a path from the caller to the receiver, and as the connected circuits switch to one another, it is called circuit switching. The problem with this was when one of the circuits failed to connect, the connection was interupted. 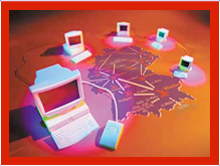 To fix this problem, the Internet began to use packet switching networks. In this type of network, files and e-mails are broken down into smaller pieces called packets. They are labeled electronically with their labels, sequences, and destinations. These packets can all take different paths to the same destination, where that computer reassembles them into the original document and alerts the user to their arrival. As these packets travel, the computers they are coming in contact with decide what the best paths are for the packet to take. These routing computers use routing algorithms to determine the best route. Individual LANs and WANs have different rules and standards for creatin packets in their network. Routers, hubs, and switches are the standard devices that can be used to transfer packets from network to network. As ARPANET grew into the Internet, it used the Network Control Protocol. This is a specific collection of rules for formatting, ordering, and error checking data sent across a network. It includes rules about what is allowed in a transmission. The reason for these rules was so that all computers could be formatted the same way so as to send and receive information. There are two main protocols used by the Internet. Transmission Control Protocol (TCP) and Internet Protocol (IP). These two protocols are often combined (TCP/IP)and they govern how data moves through the Internet and how network connections are established and terminated. TCP controls the disassembly and reassembly of packets as they travel over the Internet and reach their destination. IP specifies the packet's addressing details, including the origin and destination information. This TCP/IP protocol has replaced NCP. IP addressing is a 32-bit number used to identify all computers connected to the Internet. When the router breaks a message into packets before sending it over the network, the router marks it with the origin and the destination IP address. The IP address is divided into four sections by periods. Each section contains a number between 0 and 255. Domain names are set up as alternates to these IP addresses because they are musch easier to remeber than numbers. E-mail also has a certain protocol it must follow. 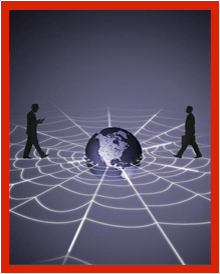 Most organizations use a client/server structure to handle e-mail using an e-mail server. 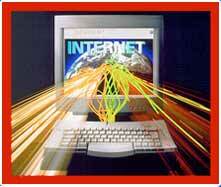 For users at home, the e-mail server is located on the Internet provider's network. Standardization is very important and there are two common protocols for e-mail: SMTP (Simple Mail Transfer Protocol) and POP (Post Office Protocol). A newer protocol is IMAP (Interactive Mail Access Protocol). This protocol includes the same features as POP but with additional features. When building a Web page, you can include many elements, such as graphics, photographs, and sound. All these items are stored in seperate files on the server. It is important to organize and structure the main page with a text markup language to ensure that all these elements work together to give the appearance and usability that you desire. This language includes sets of tags which act as formatting tools that the Web client software can understand. 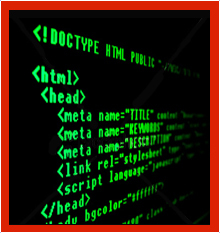 THe most common language, HTML, has many other subsets, such as XML and XHTML. The World Wide Consortium (W3C) was developed to maintain standards for the Web. All designers should be familiar with the W3C and the languages that they recommend. An intranet is an interconnected network, usually using the TCP/IP protocol, that does not extend beyond the organization. They are an excellent low-cost way to run a corporation internally. They are often the most effecient way to ditribute information. An extranet is an intranet that is extended outside of the organization to include business parties, suppliers, and customers. Each participant in the extranet has access to all the databases, files, and other information stored on all the computers in the network. It can be set up through the Internet or it can use a seperate network. Networks can also be public or private. The Internet is a public Internet, as anyone can use it. 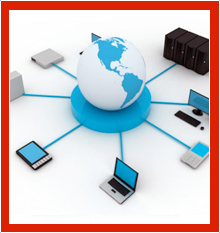 A private network is a private, leased-line connection between two intranets. It is much more secure and generally necessary for most companies. 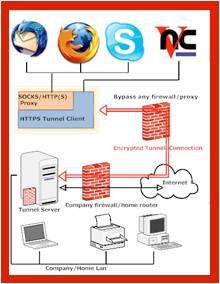 A VPN (virtual private network) is an extranet that uses public networks using IP tunneling. This creates a virtual passageway that encrypts the packets being sent and received. 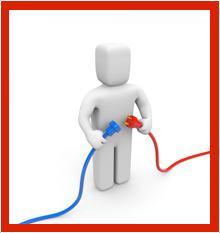 This is a temporary connection that provides a security shell for the parties concerned. The Internet is a collection of networks that are all connected. To connect to the Internet , you need a connection. There are several options available including telephone lines, broadband connections, leased lines, and wireless. Choosing which connection you need is determined by the amount of bandwidth you need. The higher the bandwidth, the faster the pages appear on your screen. Broadband is the most common form of connection to date. There are several options, including cable and DSL. Choosing between the two depends on where you are and what you need for your personal needs. Leased-line connections use a T1 line and are the fastest way to connect.